As my baby continues to grow, she is also slowly learning to walk and talk. As a first time mom, every little improvement I notice is a milestone. Every sign of growth I see makes me proud and happy. Back when I was young, I thought my parents were corny and too sentimental. My mom used to tell me all about (well, almost) the stuff I did as a little girl. I remember seeing her eyes twinkle and she would look at me like I was still a baby. Then she would tease about being clumsy when walking. She also liked to tell me I was an independent baby because I did not like to hold her hand each time we would take a walk around the park. I have always thought she was too emotional every time she tells me about my younger days. She never grew tired of telling me again and again of any memory that seemed all too precious to her. My father, in turn, would tease mom about how ‘overly concerned’ she was; how she treated me with such care that she would ‘not let a fly land on me’. My dad loves do exaggerate, but I like to hear their stories whenever I can. So is this story about my own mother important? Well, I am a mother now and guess what, the genes have carried down; I am sentimental too. But you know what? I think most parents are anyway! I mean, when your baby starts taking its first steps, this is one of the biggest milestones in human life. I remember the first time my little girl took her first step. Being one of the biggest milestones comes as one of the most hurtful too. Babies will fall when they are learning. 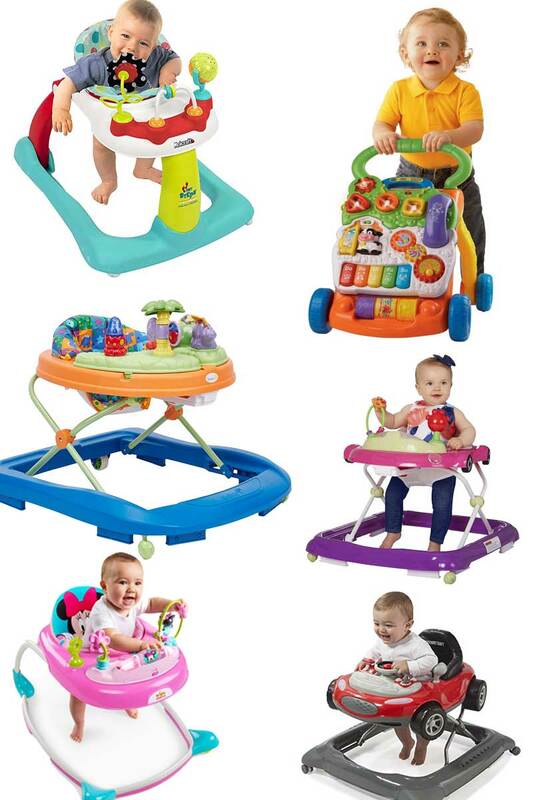 The only way to assist them and reduce injuries is….drum roll please…buy the best baby walker you can afford! I know a child needs to be guided now and then, that is why I make sure that I am one hundred percent prepared for everything; hence why this is a baby product you need as your baby starts to walk. See Also: Best baby monitors to monitor your baby at every moment. When I was planning and researching about a baby walker, I wanted an activity walker that is affordable yet durable. That was when I found the safety 1st walker range (the safety 1st sounds n lights walker range to be precise), they provide four of the best baby walkers for young children. 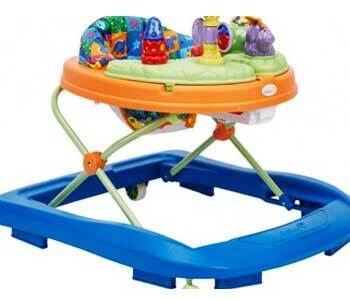 For the full range of Safety 1st Activity Walkers, see the image above. As expected, this one was simple and durable. The seat was well padded and adjustable. I liked the toys that were in the activity tray. My daughter had lots of fun with it. Most Important for kids: Fresh air is important for all of us especially for kids. They are attracted by germs and viruses easily. The best quality air purifier can help you out to solve this big problem. She likes to play the songs from her walker over and over again. The toys on this walker are really great; I think it provides good stimulation for my child’s brain, especially at her age. The wheels also run smoothly on our floor (this is something overlooked by many parents and is super important!). Also, this one is very colorful. I think my daughter also finds the walker interesting because of its colors and the toys, of course. Read also: Solution of croup cough is available here. The seat is also washable and easy to clean – another important aspect often overlooked but very much needed. My daughter is showing signs of great improvement with this walker, and I am happy that the walker is as functional as I expected it. It was my first time to buy a walker, and I could safely say I made a good purchase with this activity walker. It is not too pricey and it works just fine. I recommend it to parents who want a walker that is very affordable, durable, easy to clean and smooth for your baby’s first steps.